The official gate and attendance numbers for the October 5 UFC On FX 5 card are in. The Minnesota Office of Combative Sports reported to MMA Junkie that the event drew 7,055 fans for a live gate of $357,590. A total of 3,657 free tickets were handed out. In the main event, Antonio "Bigfoot" Silva (17-4) defeated the unbeaten Travis Browne (13-1-1) via TKO in round one after Browne injured his knee. The show also marked Silva&apos;s first victory for the UFC. In the co-main event, Jake Ellenberger (28-6) avenged his 2006 loss to Jay Hieron (23-6) with a unanimous decision victory. The show only included 10 fights as two were scratched before the card began. Dennis Hallman (51-14-2-1 NC) came in eight pounds heavy and Thiago Tavares (17-4-1) did not take the fight. After Jeremy Stephens (20-8) was arrested prior to the event, the UFC were unable to get him out to face Yves Edwards (41-18-1). 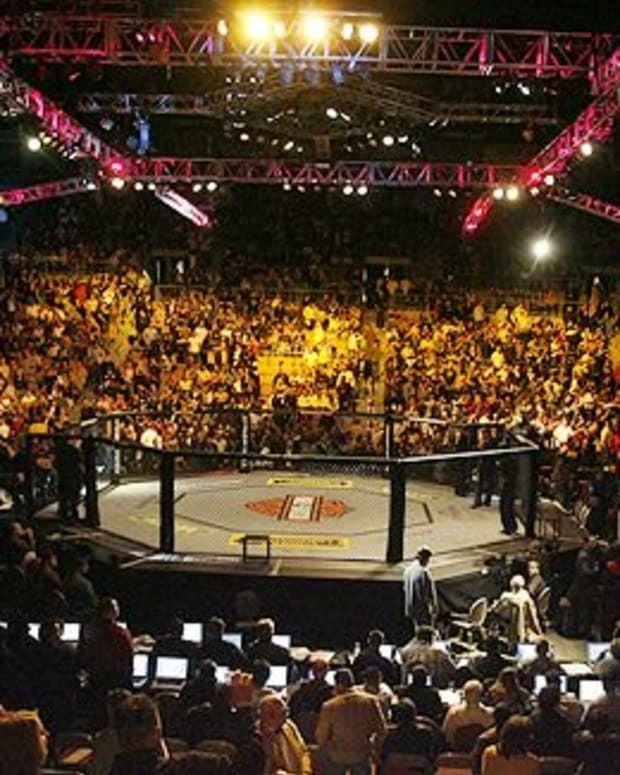 The Target Center in Minneapolis hadn&apos;t hosted an MMA event since UFC 87 in 2008. Back then, it drew 15,000 fans for a live gate of $2.25 million.